STUNNING GREEN MOUNTAIN CONDO!!! PRIME LOCATION!! Right across the street from Green Mountain and all its trails!! Does not back to Alameda. 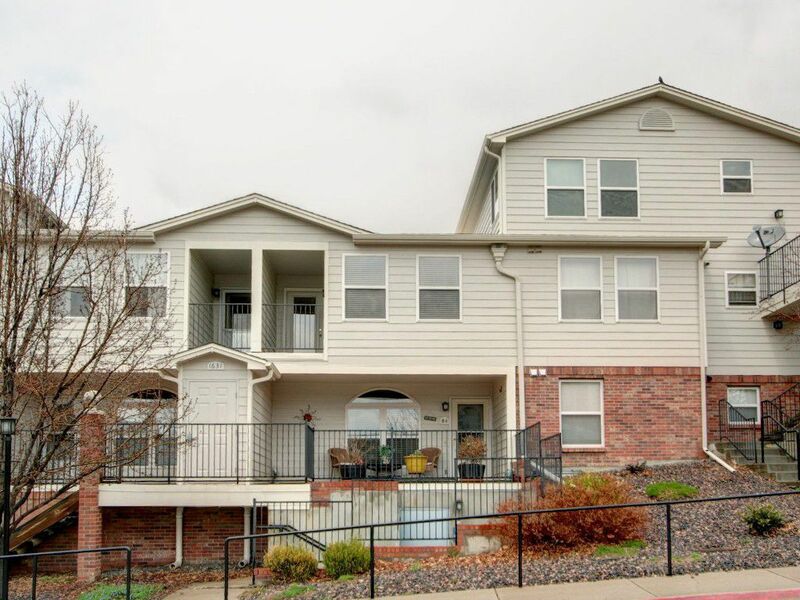 This updated and move in ready 2 bedrooms, 3 bathroom condo is the one you have been waiting for!!! Enter to find new real hardwood floors, an open floor plan with eat-in kitchen featuring all new appliances. The fresh carpet and paint upstairs along with a spacious master bed/bath, laundry area, and guest bed/bath make this home feel larger than it is. Parking includes 1 reserved underground parking spot which includes extra storage and easy access to your unit. Come and see for yourself all that this great listing has to offer. Interior Features: his updated and move in ready 2 bedrooms, 3 bathroom condo is the one you have been waiting for!!! Enter to find new real hardwood floors, an open floor plan with eat-in kitchen featuring all new appliances. The fresh carpet and paint upstairs along with a spacious master bed/bath, laundry area, and guest bed/bath make this home feel larger than it is. Amenities: Pool Community. Hot Tub. Playground area. Location: PRIME LOCATION!! Right across the street from Green Mountain and all its trails!! Does not back to Alameda.